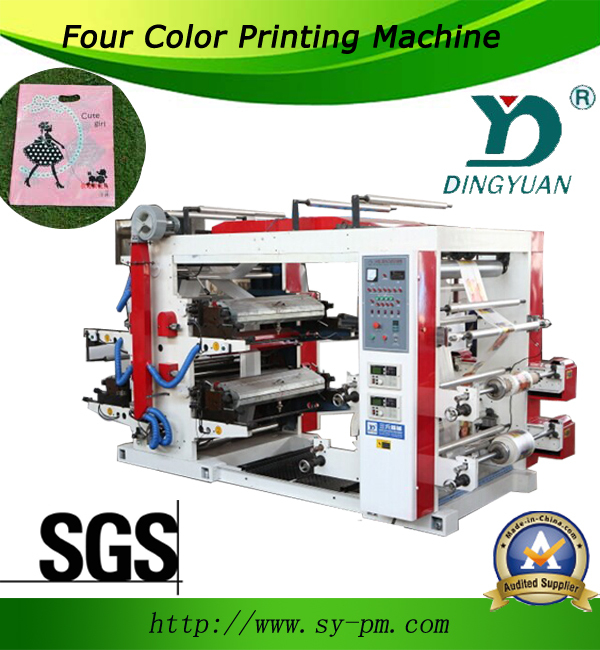 YT-4600/4800/Four-Colour Flexographic Printing Machine-Sanyuan plastic packing machinery co.,ltd. Flexographic printing machine wooden case package/ depends on customer requirement. Film Blowing Machine is with wooden box, wooden pallet, or strench film packaging. this machine is with flexible wrapping and export standard wooden case. It needs one 20" container for delivery. It will be packed in 4 parts, two separate machine body, winder, and extruder. we will supply one year guarantee, whole life services. It is suitable for polyethylene, polypropylene plastic bag, glass paper and roll paper, etc. And it is a kind of ideal printing equipment for producing paper packing bag for food, supermarket handbag, vest bag and clothes bag, etc. 6. 360° continuous and adjustable longitudinal register devices. Sanyuan Factory will pack the machine with two times film package. If customer needs wooden case, it needs additional charge. Shipping sea freight cost paid by buyer. insure the machine arrive in buyer country safely.